Pre-Construction. To be built. Pre-construction home! This all included home is the perfect start for a new home. 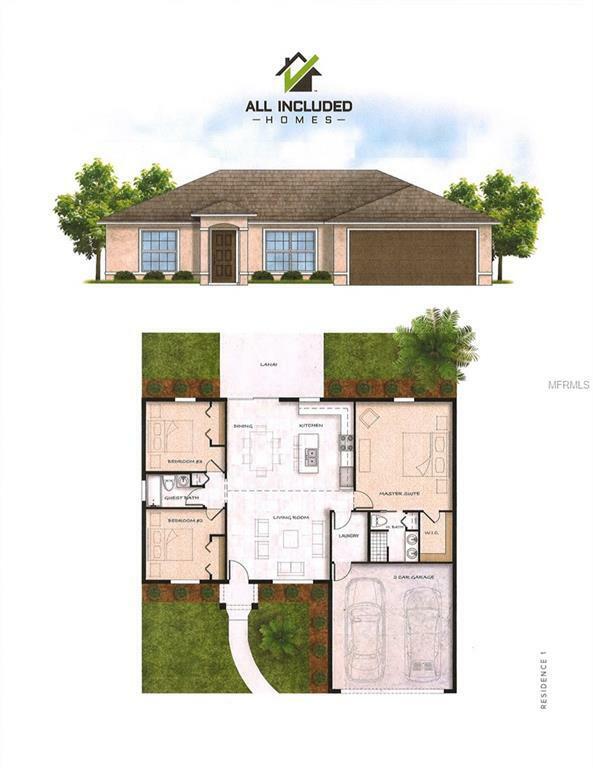 3 bedrooms 2 full baths, with granite counter-tops and soft close cabinets. All ceramic tile floors. No need for hurricane shutters as the windows are impact windows. We took all the hard work and decisions out of the traditional process and refined it just to the core essentials. Streamlining the process gives the consumers more time and energy for the things that matter the most: enjoying the Florida lifestyle they deserve! You will not be disappointed with the high detail finishes of this home and its affordability.